That Barts Pathology Museum makes me feel so relaxed might be cause for concern. This is after all a museum of malady, misery and malformity - a cathedral to all that can go wrong with the human body. Yet there's an elegance to the place, a dignity that radiates up through the Victorian ironwork, past the glistening pots and out into the dusky London fug. Within this churchy, reverent atmosphere these pots become minimalist reliquaries, monuments not to saints or conquerors, but to the common men and women whose body parts vividly speak to us hundreds of years after the rest of them has faded into forgotten dust. But, as we learned last night, these centuries of accumulated knowledge came close to being lost forever, not during World War II, not during some 1930s modernist push but in the mid-2000s. Tonight's talks told us the history of this wonderful museum, and a brief exploration of the stories behind some of the more interesting pots. Paola Domizio is Professor of Pathology Education at Queen Mary's and head honcho at the Barts Pathology Museum. She's been working in this space for years and as she speaks you sense her deeply held affection for the museum. Her talk gives us a whistle-stop tour through the history of the collection, from its 18th century origins right through to the modern day. The genesis is the 1726 provision for a "Repository for Anatomical and Chirurgical Specimens", the first of which was a collection of bladder stones donated by Dr John Freke. As medicine began morphing into the evidence-based practice we know today, prominent doctors began keeping specimens of their most striking cases. These personal collections became a point of pride, the top medical minds competing against each other for who'd have the most comprehensive and unique catalogue. The men that amassed these collections made huge leaps forward in medical knowledge, a prime example being Percivall Potts using the pickled scrotums of dead child chimney sweeps to correctly conclude that soot is a carcinogen. The pots that make up the bulk of the collection were amassed at around this time, medical students having free access to physical examples of the effects common Victorian diseases like syphilis and TB have on the internal anatomy of a person. 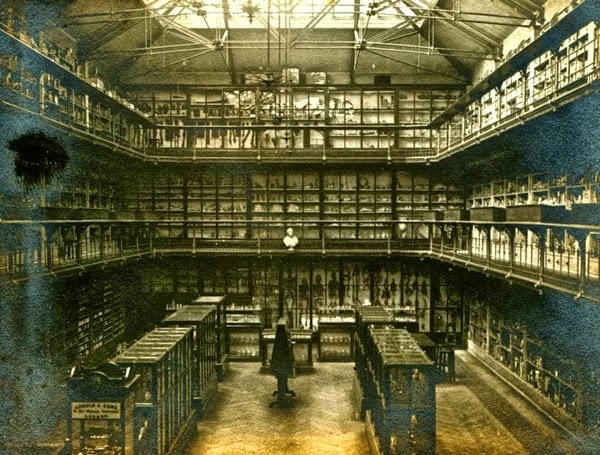 Barts Pathology Museum in its Victorian heyday. The building the collection now sits was opened in 1879 and from then until the 1930s the building was a hive of activity, a crucial resource for any budding doctor. The building just about survived the Blitz (though it came very close to being bombed to bits), though post war activity gradually declined. Still, the collection was maintained, well-frequented and lovingly curated up until the mid 90s. Then everything changed. In 1999, following investigations by bereaved mothers, it was discovered that Alder Hey Children's Hospital had been removing and preserving body parts without consent. Understandably people were both horrified and furious. It's one thing to donate human tissue and take some small solace that your loss is medicine's gain, it's quite another to bury your child and then discover his heart is sitting in a plastic, formalin-filled container on a shelf somewhere. The knock on effect was a public backlash against pathological collections. Almost overnight their image morphed from educational resource to crude Victorian freakshow. Pathological museums were closed up and down the country, and the hardwood floors of medical schools echoed with the sound of shattering pots. Paola explains that it's a miracle that this collection didn't get destroyed, though the museum was left to collapse into damp and destruction. The space was used as a rubbish dump for building equipment; rain falling through the walls, pots freely leaking fixative fluids onto the floor. When you're sitting within the room it's almost difficult to imagine this pleasant, tidy space descending into chaos - yet the scars are remain in cracks along the walls, the plaster having torn itself apart in obscene bulges. After heading to the very brink of ruin the museum began a slow, tortuous process of salvage and reconstruction. The Human Tissues act 2004 codified exactly how human specimens could be kept and displayed, the rules perhaps a touch strict but at least clear. Slowly, with intense effort things began to get back in order. A prime mover in this rescue was Carla Valentine, who personally re-pots the specimens and takes responsibility for raising the museum's profile. This passage from Ezekiel is referring to God, a role that in Barts Pathology Museum is currently filled by Carla. In tending to the specimens she has an intimate, loving relationship with them: if Carla is putting a severed hand into a new pot, this could be first time this hand will have been held in hundreds of years. 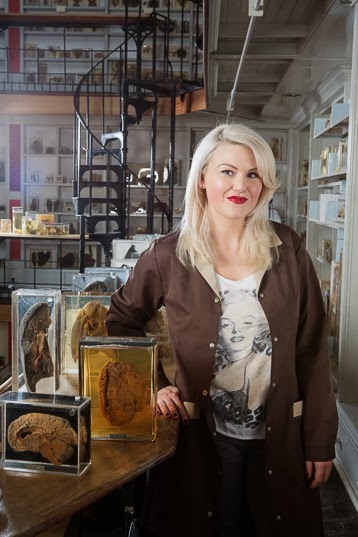 I admit that it's not very scientific to start thinking of the specimens like this - objectively they are 'merely' chunks of old meat - yet I think it's important to think of them as the surviving parts of real people with passions just like mine. "the fate of these people seems singularly hard; in their infancy, they are most frequently treated with great brutality, and almost starved with cold and hunger; they are thrust up narrow, and sometimes hot chimnies, where they are bruised, burned and almost suffocated; and when they get to puberty, become peculiary liable to a noisome, painful and fatal disease." Scrotal cancer on a chimney sweep. As mentioned, it was Potts who discovered their tendency to develop scrotal cancer was linked to the sooty environments they were forced into. These sweeps were never totally clean, and the wrinkles of the scrotum trapped soot against the skin for long periods of time. The first symptom was sores and growths as miniature tumours began to take hold. Common assumption was that this was a venereal disease, and so the young sweeps would hack at their own ballsacks with razorblades and knives rather than visit the doctor. But, soon the cancer would spread up through the testicles and into the abdomen, and after that death is not far behind. 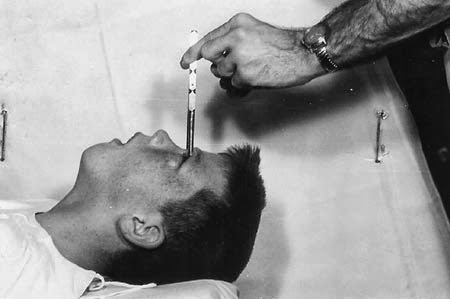 Similarly barbaric is the procedure of lobotomy, particularly the transorbital lobotomy pioneered by Walter Freeman. Using medical tools that bore a suspicious resemblance to ice-picks (largely because they were ice-picks) he'd bend your head back, jam a needle through your eyesocket and then diddle it about inside your brain, producing unpredictable neurological damage with resultant loss of motor skills, personality transformation and memory loss. Don't worry it's perfectly safe - he practised on a load of grapefruits in his kitchen. Freeman had no formal surgical training whatsoever, yet over four decades until the mid 1970s performed over 3,400 lobotomies, charging as little as $25 a time and performing the procedure in people's homes and in hotel rooms. He even (and I swear I'm not making this up) had a "lobotomobile" for performing the operation on the road. In examining his work a queasy trend emerges; the procedure apparently being applied to teenagers regarded as headstrong and difficult. 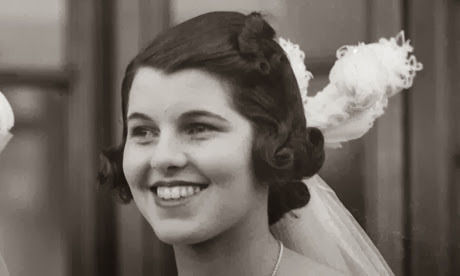 Undoubtedly the most notorious lobotomy was performed on Rosemary Kennedy, sister to John and Robert Kennedy. She was scorned as a party-loving ditz whose lack of academic achievements was reflecting badly upon the illustrious family. So Joe Kennedy called up Freeman, who sedated Rose (who hadn't been told what was going to happen) and made her recite the Lord's Prayer. While she did so he beat her brain like he was making an omelette, working out when to stop by how slurred and incoherent she became. After the procedure Rose, who an hour before had been a relatively normal, fun-living young woman, spent the rest of her life incontinent, staring blankly at walls with the mental capacity of a two year old. 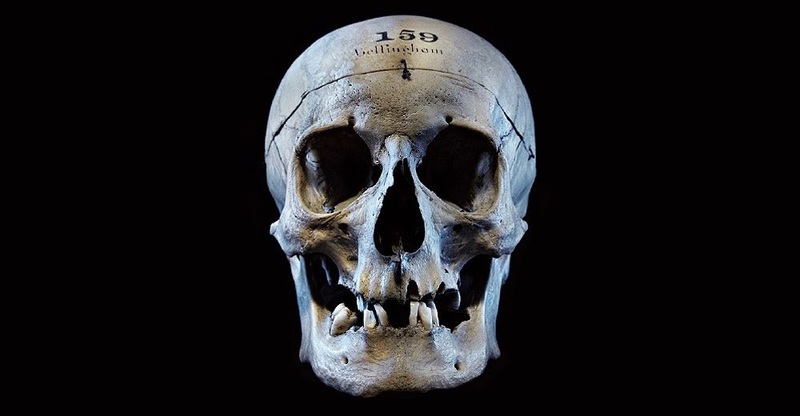 It's stories like these that bring the pots of Barts to life, the specimens crucial not only for education, but also as historical documentation of medical practice. It's quietly astonishing that we can stare at the immaculately preserved anatomy of a person who died over 200 years ago, the veins, muscle and bone looking as though it'd take but a slight nudge to start pumping blood through them. Stories like the scrotal cancer of the sweeps, or the visibly scrambled brains of those who underwent lobotomy become tangible when you have the physical evidence floating gently in front of you. In terms of an educational aid the worth of this collection is clear as day. As Paola says, "you wouldn't let a car mechanic qualify who had never touched a real engine part". Specimens like these ground theory in reality, showing people directly what a spine infected with tuberculosis looks like, or the way a tumour gradually invades an organ. Most of all, disposing of a collection like this would be a betrayal of those that gave up their bodies to create it. These pots are our shared history just as much as national treasures like the Crown Jewels or Nelson's Column - with the bonus that we can still learn much from them. I desperately hope that Barts Pathology Museum keeps being funded, and that Paola and Carla can carry on the sterling work they're doing. Who knows, perhaps one sunny autumn evening in 2208 some future space-Londoners will be staring at a piece of me floating happily in a jar. It might not be the sexiest kind of immortality, but it's at least a kind of immortality. I highly recommend visiting. The museum is closed to the general public, but there are frequent events listed here. 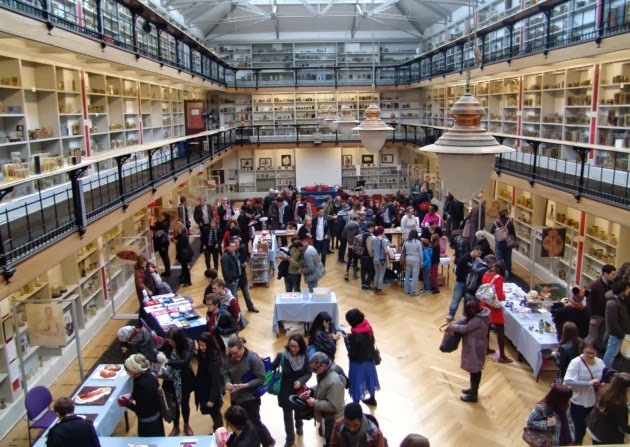 Thanks to Paola, Carla and everyone else at Barts Pathology Museum for a fantastic night.